Oh THANK GOD you allow readers from dotcom to comment in your blog! 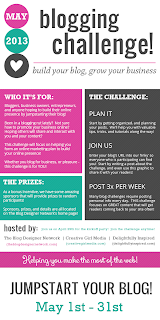 I went to 10 blogs in the Blog Challenge list and not one allow comment from a dotcom blog! They all restricted their comment and only allow those with Google, Typepad, Wordpress and etc account. I don't have Google account as I don't use blogspot (anymore) and even though I am using wordpress, it is not wordpress .org. THANK YOU for allowing a stranger outside blogger to drop a comment here. God Bless you! Aww I'm glade you were able to leave a comment. I don't restrict who posts here at all. I may miss meeting new friends. The spam filters work great so if it's a bogus comment I rarely see it. Allows me to welcome everyone and get rid of the junk pretty easily. Glad you like it, I'll be hopping around a bit more too to see who I can add to my blog rolls or reader. I've been a rut as far as posts also! So im definitely going to do this challenge to keep up with my posts. Thanks for this! Welcome and hope it's a good experience for you.